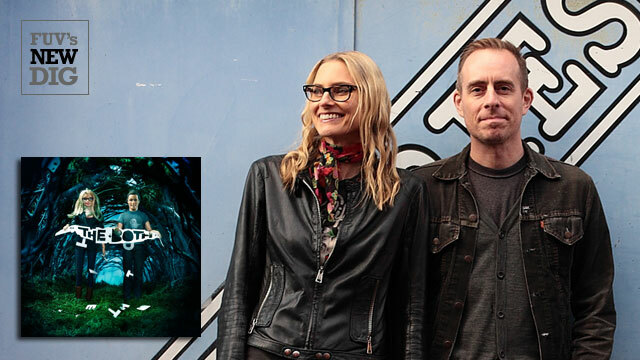 The Both is a new collaboration featuring two familiar names: Aimee Mann and Ted Leo. It's a classic meeting of two artists who've traveled down similar musical paths. Mann started out as the lead vocalist and bassist for ‘Til Tuesday, which enjoyed critical acclaim and some commercial success over the second half of the '80s. By the early 1990s, she was performing solo. Ted Leo’s musical path weaved through various punk and indie rock bands, most notably Ted Leo and the Pharmacists, who came together in 1999. Along the way, they developed individual styles. Mann grew up to be a subdued, intellectual rock singer-songwriter and Leo, a literate writer who tended to inject the aggression of punk and indie rock in to his songs. Mann and Leo had a mutual admiration for each other’s work, and they became friends while touring together over the past couple of years. From that friendship and admiration comes a combination of their talents in The Both. Their self-titled debut album is a collection of songs Mann and Leo wrote together, with one Thin Lizzy cover (written by Phil Lynott) thrown in for good measure. As is the case with any collaboration, compromise is a necessary element, and Mann and Leo seem to easily find a middle ground that allows their individual talents to shine through and complement the other’s gifts. One listen to The Both reveals that Mann’s softer, cerebral side has tamed Leo’s edgier tendencies, while he adds a rockier, guitar-based punch to her sound. This middle ground suits them perfectly, making The Both a guitar-driven dose of literate power pop. Listen to the album now as an NPR First Listen.